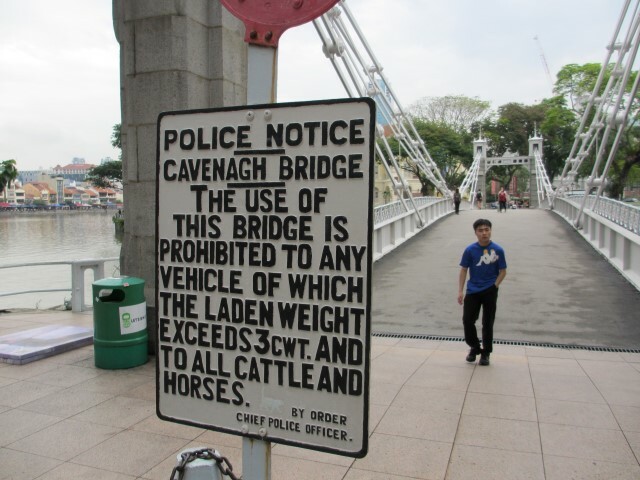 As far as famous bridges go, Cavenagh Bridge in Singapore is no Golden Gate, Brooklyn, or Tower Bridge. 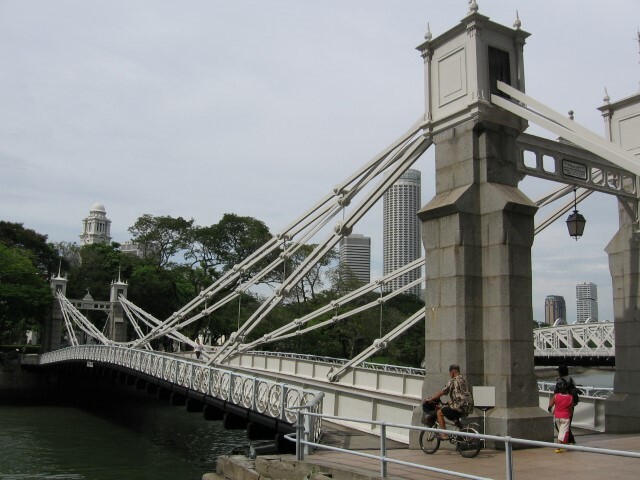 But this historic suspension bridge that spans the lower reaches of the Singapore River is still well worth a visit. Sorry if you rushed out to visit Cavenagh Bridge just now, because I tricked you. You still haven’t visited the oldest bridge in Singapore; technically, Cavenagh is only the oldest bridge that’s still in its original form. But it’s still a really great old bridge with a lot of history behind it. It opened as the “Edinburgh Bridge” in 1870 to commemorate a visit by the Duke of Edinburgh, but later changed its name to the Cavenagh Bridge as a tribute to Major General William Orfeur Cavenagh, the last India-appointed Governor of the Straits Settlements, who governed from 1859 to 1867. Ouch! I’ll bet the poor old Duke of Edinburgh cried himself to sleep when he heard the news that his bridge in Singapore was re-named for another man. That’s right. When they built the Cavenagh Bridge, they couldn’t have foreseen such a huge increase in traffic over the decades. The Cavenagh Bridge just couldn’t cope, nor was it sufficient for the passing-through of boat at high tide. So another bridge was built and the Cavenagh Bridge was eventually converted into a pedestrian bridge. The police notice in the picture above now serves as a charming reminder of the sort of traffic this bridge used to serve. How? 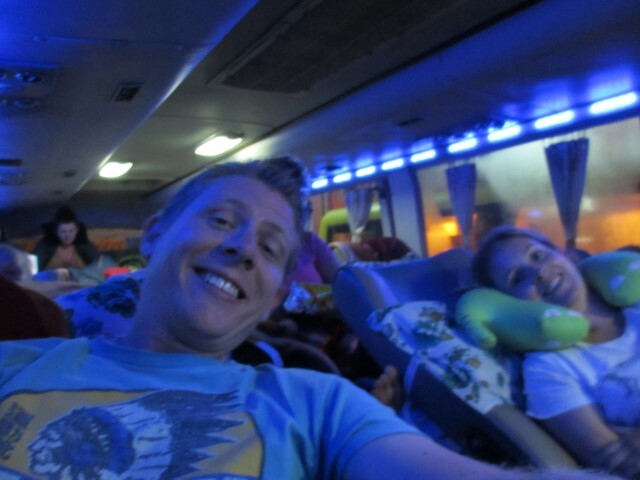 Catch the Mass Rapid Transport (MRT) to Raffles Place and then head to the river. Also check out these cheap and cheerful things to do in Singapore.